Hands off of Independent Trade Unions! March 16, 2015 in Dnepropetrovsk was held to protest against the administrations pressure on independent Trade Unions of Ukraine. 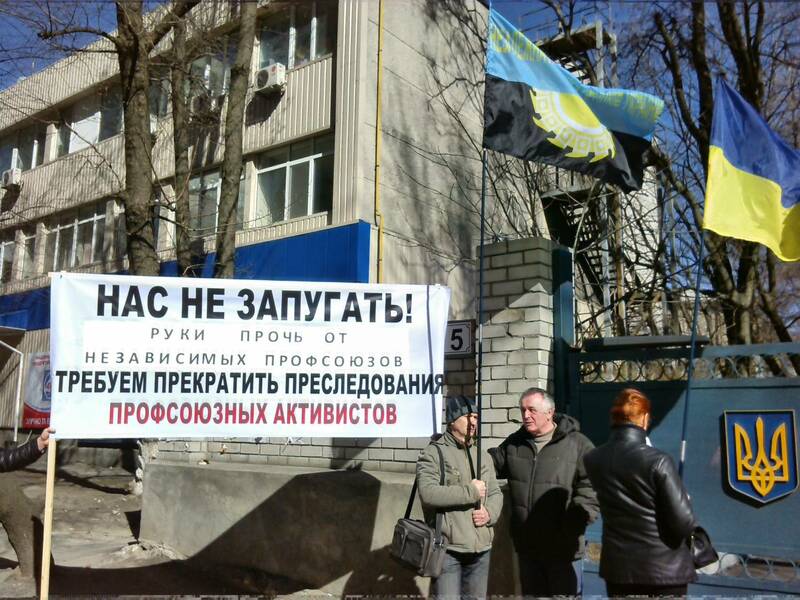 The protest was held in front of the District Administrative Court of Dnipropetrovsk Oblast [Region] against attempts by the administration to eliminate the main YuGOK union organization at this enterprise – the Independent Trade Union of Miners of Ukraine – NPGU. Next URGENT APPEAL FOR SOLIDARITY: PEACEFUL PROTEST OF TRADE UNIONISTS AND COMMUNITY REPRESSED IN ODESSA!